How Hard is it to Manage Rental Properties Without a Property Manager? Rental properties are a great investment, but they take work to manage, especially if you do not use a property manager. I own more than 20 rental properties and I managed my rentals myself up until the start of 2014. My rental properties are all single-family or commercial rentals properties and easier to manage than multifamily rentals, but it still takes time. Not only does it take time, but you have to pay attention to details and be firm with tenants to successfully manage rental properties yourself. You can’t be easy on your tenants and you can’t ignore problems, because that is when rental properties can change from a great investment to a poor investment. Whether you chose to manage your rentals on your own or hire a property manager you need to know how to manage the properties. If you are hiring a property manager you need to know if they are doing what they are supposed to be doing. Here are some tips on how to manage rentals the right way. You will notice that there is a lot that needs to be done and it may not be as easy as you thought. Determining market rent should be done well before you are ready to rent a house and one of the first things you do as a real estate investor. You should have an idea of what a house will rent for before you even buy a rental property so that you know it is a good investment. 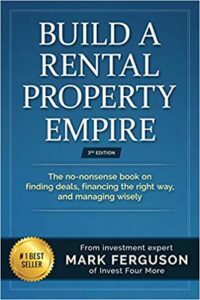 It is tricky to tell people exactly how to determine market rental rates because each market uses different techniques to rent homes. Some markets primarily use the MLS to rent homes, while other markets (like my market) use Craigslist or Zillow to as the primary method to rent a home. You need to check with other rentals in the area to see what market rents are. You cannot simply choose the highest rent you can find and assume that is what you will get. You can also check with property management companies or real estate agents to see what they think properties will rent for. Looking at ads on Craigslist is only the first step, but these are just asking prices. To see what is actually renting, it takes a little more work. Print or write down the ads that are the most comparable to your property. Wait three days, and then check to see if the ads are still on Craigslist. If the advertisements are gone, then those houses were probably rented. If they are still up then they probably have not rented. Check again in a week to see which ads are still there and which are gone. If you want to take one more step then call the numbers or email the ads that you first printed and ask if the properties are still available. I have tried a couple of different methods of pricing my rentals. Price at the top of the market and try to find a renter who will pay a premium. Price a little below market and take my pick of great renters. My experience has been better with taking my pick of great renters. Even though the rent is lower, I usually have a lot less to worry about like late rent or excessive wear and tear. Whenever I price rentals high, I am waiting for a decent to mediocre candidate to send an application in, instead of picking the best tenant from many applications. Once I have a decent idea of the market rent, I place an ad on Craigslist, put a for rent sign in the yard and post it on Facebook and Zillow. I don’t post in my MLS because very few people look for rentals with an agent in my area. Other areas of the country primarily use MLS or another method to advertise rentals. Be sure you research what the most prominent way to advertise rental properties is in your area. I use an application I found online and altered slightly when I am looking for potential tenants. I used to not charge an application fee or run a credit check but I do now. I charge $50 for an application fee and I use that money to run a credit check and background check. Potential tenants have had no problem paying these application fees, and it helps to make sure all tenants submitting an application fee are serious. A great way to judge a tenant is by talking to them as much as possible and looking at their application. I want to see an application that is filled out as much as possible with multiple references. If an application is barely filled out, then the potential renters aren’t taking the process seriously or they are trying to hide something. When I talk to a potential renter, I want to learn as much about their previous living situation as possible, I ask about pets, I ask about employment and who will be living in the property. The longer you talk to a tenant, the more you can learn about them. When you first talk to a tenant on the phone, take notes so you remember what they said. Then when you meet them in person, ask them some of the same questions to make sure they give you the same answers. If someone is lying to you, it is a very bad sign. If they are late or do not show for an appointment it is an extremely bad sign. To avoid tenant problems, proper screening is vitally important and we now use SmartMove for credit and background checks. I always call references for all applicants that I am considering. I want to talk to the reference for the applicant’s previous residence and their current employer. I want to know if they paid rent on time, took care of the residence or were high maintenance. By high maintenance, I mean calling in every week for minor issues, causing plumbing problems because their children like to flush toys down the toilet or any number of other items. I want to see if they had pets and if that information matches up with what they are telling me on their application. I want to ask the employer how long they have worked there. I want to know if they are a good worker and how solid their position is. I will also ask how much money they make to see if it lines up with what the applicant is telling me. You cannot rely on everything a reference says because they may want the tenant out of their property! This is only one piece of the puzzle. Pets can be an extra source of income or destroy your house. I prefer not to allow pets at all, but I may allow one dog with an additional pet deposit or an increase in rent. I usually charge a $200 nonrefundable pet deposit for a small dog. I always want a pet reference as well, meaning they had the pet in their previous residence and the pet did not hurt the property. I do not allow cats, cats can ruin a house quicker than anything. If you haven’t smelled cat urine in a house, it is not pleasant. At a minimum, you have to remove all carpets and padding and in some cases remove the subfloor as well. I do not allow smoking in my rental properties at any time. If anyone is caught smoking or breaking any of the other rules, the lease says I can fine them $750 per occurrence. No painting without written approval. Do not hang curtain rods without written approval. No pets on the property. Only people on the lease and their children may live in the home. No overnight visitors for over three straight nights. No illegal activities in the property. If any of these rules are broken, the lease says I can fine the tenants $750 per occurrence. If there are any exceptions to these policies, I put them in writing in additional provisions in the lease. I have a section that shows what utilities are paid by tenants, in my case all of them. I have a section that says if the tenants break their lease early, they owe the remainder of the rent due for the entire lease. If I can rent the home again, I can’t charge the previous tenants for rent as well, but I will charge a one month’s rent lease-break fee. I have many other items in the lease. I am not an attorney and I highly suggest you have an attorney look over any lease you create. With any house built prior to 1978, I have to provide a lead-based paint pamphlet explaining the dangers of lead-based paint. I also have a lead-based paint disclosure signed by the tenants as well. I charge one month’s rent for the deposit, and it must be paid with the first month’s rent before the tenants move in. The only time I split up the rent and deposit is if the tenants want to reserve the home before they move in. They can pay the deposit first and then pay rent when they move in. Each state has different laws regarding carbon monoxide detectors and smoke alarms. No matter what your state law is, I would put them in. In Colorado, we have to have carbon monoxide detectors within 15 feet of every bedroom. They are very cheap for the protection they offer, and you can plug them straight into an outlet. The worst thing a landlord can do, besides rent to bad tenants, is ignore tenants or their properties. If you never talk to your tenants or never send them anything in the mail they will think you don’t care. Once they think you don’t care they will stop caring about the house and stop paying rent. Landlords cannot assume tenants will pay their rent and take care of properties without any oversight. When I managed my properties, I had a tendency to be very lenient on my tenants. Some tenants paid on time and took care of my rentals and others always paid late and damaged my houses. I learned you have to be tough no matter what the tenant tells you. After learning my lesson I became very strict on rent being in on-time and scheduled routine check-ups on the houses. I learned the more you contact your tenants the better tenants they will be. We have a maintenance person check every house once a quarter. He checks furnace filters, smoke detectors, carbon monoxide alarms and looks for any problems. It is written into the lease that we have someone check the house every quarter and the tenants know they will have to keep the house in relatively good condition. I said this once already, but it is worth repeating. The worst stories I hear are from landlords who did not check on their houses for years and they were surprised to find the tenants had trashed the house. Not only can tenants trash the house easily without oversight, but they also have a greater tendency to commit illegal acts at the house or create dangerous situations. 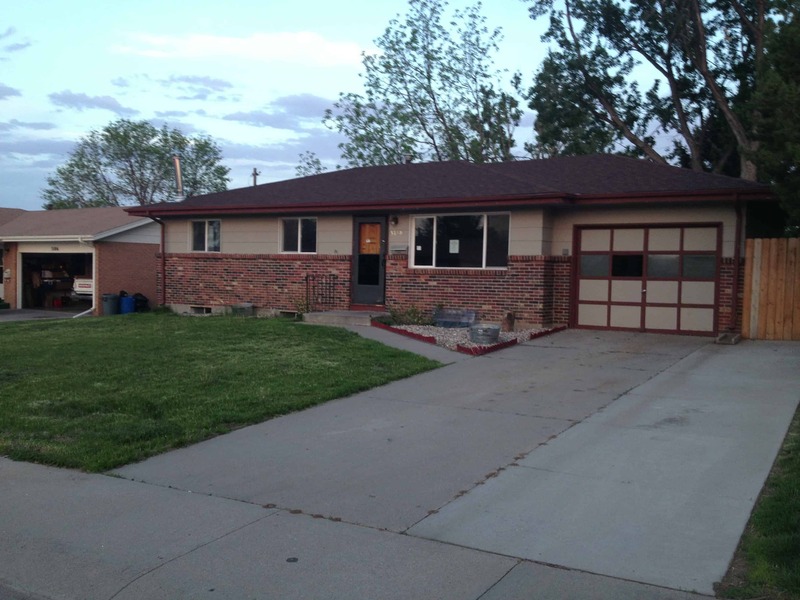 A drug house is a landlord’s worst nightmare, especially a meth house. If a property is used as a meth lab, the entire interior may have to be gutted costing tens of thousands of dollars or more. If the tenant knows they will be checked on every couple of months, there is a much better chance they will refrain from illegal activities. My leases say that all rents must be received by the 1st of the month and rent is late on the fifth. If we don’t receive rent on the fifth we start charging late fees. I don’t care why the rent is late, we charge late fees. It is not fair to charge late fees to one tenant and not another. If you don’t charge late fees the tenants will think they can continue to pay rent late with no penalties. Pretty soon the tenants are one month behind and it is a struggle for them to ever catch up. Once they get too far behind they may stop paying altogether and then you will have to evict them. I rarely have to evict a tenant, but that doesn’t mean I have not had bad tenants. The reason I avoid evictions is I usually come up with a mutually agreeable move out plan for the tenant. If you have to evict a tenant it can be a very expensive and a long process. The eviction process varies in every state. In Colorado, it takes about a month to evict a tenant. In other states, it takes longer and in a few states, it is a quicker process. It is not only the time it takes to evict someone that costs money. To get to the eviction point, the tenant is at least a couple of months behind on rent. People also do not like being evicted and have a tendency to do damage to homes when they are evicted. I have avoided evictions, but that does not mean I have avoided vacancies. I have ended leases early in multiple situations where the tenant could not pay rent or would not for various reasons. Instead of going through the lengthy eviction process we were able to work out a deal where the tenant moved out before their lease was up and I did not hold them responsible for the rest of the lease. I could have held them responsible for future rent as well, but that leaves hard feelings and there is a better chance they would damage the home. By letting them leave early, they get the feeling I am helping them out. In my rental market, I also have no problem renting homes quickly. I would much rather get a bad tenant out right away and get a good tenant in the property. I still try to collect any back owed rent or any damage done to the property above and beyond the security deposit. Most of my tenants are very good about paying rent on time because they know they will be charged late fees. I still have one tenant that is always late and always has a multitude of excuses and pretends he is not late. The funny thing is he has a brand new Toyota Sequoia and we just got a call from another car dealership because they are trying to buy a second brand new car. Some people do not know how to manage or save money. If I never told this tenant how far he was behind, he would assume he was paying on time. In fact, he would probably stop paying altogether and assume someone else had started paying rent for him. One thing we do is send an invoice every month to every tenant. This reminds them to pay rent on time, reminds them where to send the rent and they have no excuses for not knowing they were behind. If a tenant gets more than one month behind or stops communicating with us we will post a notice to vacate on their door. When you post this notice you do not have to evict the tenant, but it sure gets their attention and if they don’t contact us, it is the start to the eviction process. Some landlords are cheap and will not maintain their properties or repair their houses. You are asking for problems from the property and the tenant if you do not maintain the property. A house that shows poorly will attract poor quality tenants and if the tenants are unhappy with the home they will be less likely to pay rent or take care of it. If the landlord ignores problems like a bad roof, bad electric or bad plumbing it could cause thousands of dollars in damage or be dangerous. Rental properties do not have to look like a luxury resort, but they should be functional, all the major systems should work and they should look and smell decent. Maintenance items will come up and that is why it is important to have enough money in reserves to pay for repairs. How long does it take to manage rentals? There are many tasks associated with managing rentals, but it doesn’t take a lot of time for one property. The most time-consuming part of managing properties is getting them rented. If you only have one rental property you should be able to spend a few hours a month managing it. Many of those hours will come from renting the home and much fewer hours will be from collecting rent, dealing with maintenance and other issues. Managing one rental property, two or three rental properties is not too difficult either. Once you start getting four or more rentals it starts taking a significant amount of time to manage your properties. If you don’t have the time to manage them; get help. When you don’t take the time to screen tenants or check up on your properties is when you encounter serious problems. There is a lot involved in managing rental properties, but not every rental will have issues that require a lot of management. I have had rental houses that never have a problem, are well maintained and the tenants always pay on time. I have had other rentals where the tenants are always having problems, pay late, or stop paying completely. I had one tenant who had a heart attack and could not work anymore. We came up with a mutually agreed upon plan where he would move out and try to pay me back for back rent owed. He never paid me, but I rented the house right away for more money than he was supposed to be paying and it worked out okay. It is worth it for many people to use a property manager, especially if they can’t handle being tough on tenants. Property managers will cut into your profits, but they will save you time as well. Property management fees usually range from 8 to 12 percent of the monthly rents. Some property managers also charge a leasing fee, which could be one half or one month’s rent. In my area, I can find property managers who charge 8 percent of the monthly rents with no leasing fees. I have thought about starting a property management company, but with fees that low it is hard to make much money. I have a real estate team that consists of real estate agents, assistants and myself. When I gave up managing my rental properties, I handed the duties over to my team. Not only does my team help me with selling houses and my fix and flips; they manage my rental properties. If you want to manage your own rentals, make systems to help you. Create a system to check your houses, to make sure rent is on time and to make sure accounting information is logged every month. 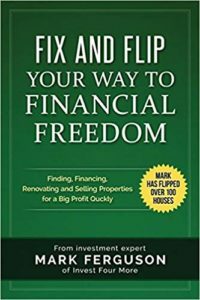 It was not difficult for me to manage my rental properties, but I also started to let things slide at the end and that is when problems occur. If the tenants don’t think you are paying attention they will be more likely to try and take advantage of the situation. If you are looking to buy rental properties and do not think you can handle managing them, make sure you account for the cost when figuring your cash flow.